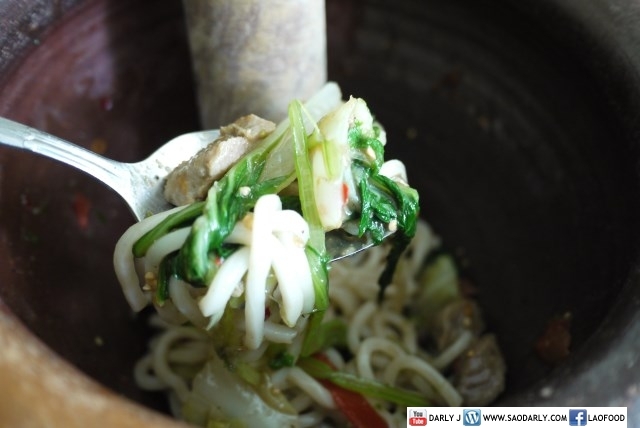 Spicy Udon Noodle Salad or Tum Mie Udon for lunch today. 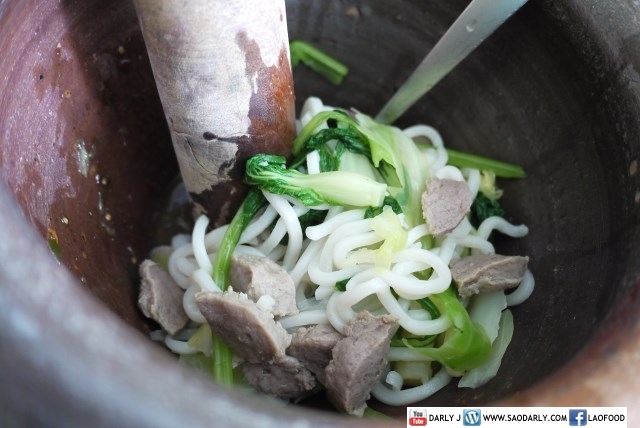 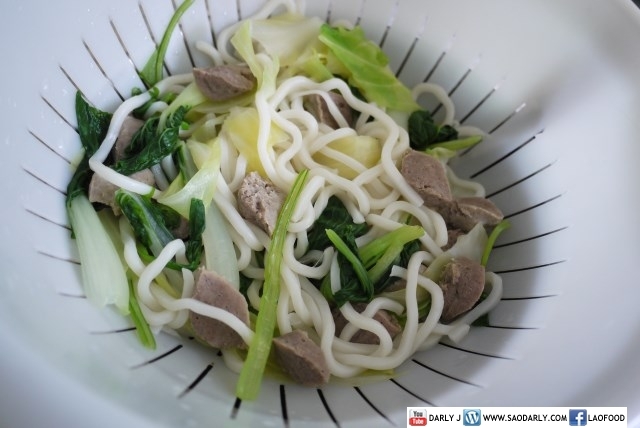 I boiled four beef balls, flowering cabbage, baby bok choy, sweetheart cabbage, and one package of Udon Noodle. 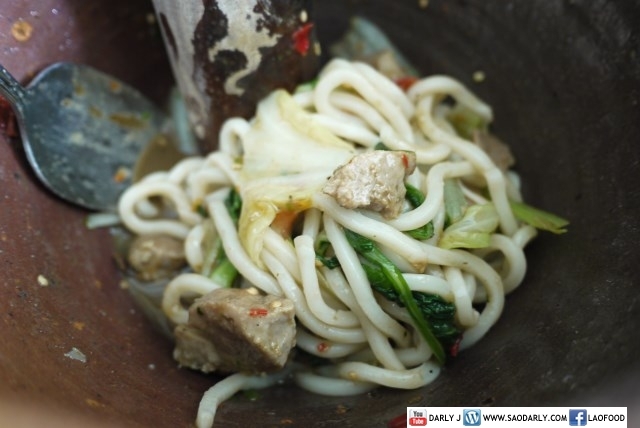 Spicy Udon Noodle salad is made the same way as Lao green papaya salad using chili pepper, shrimp paste, crab paste, sugar, tamarind, fish sauce, and lime juice for the seasoning. 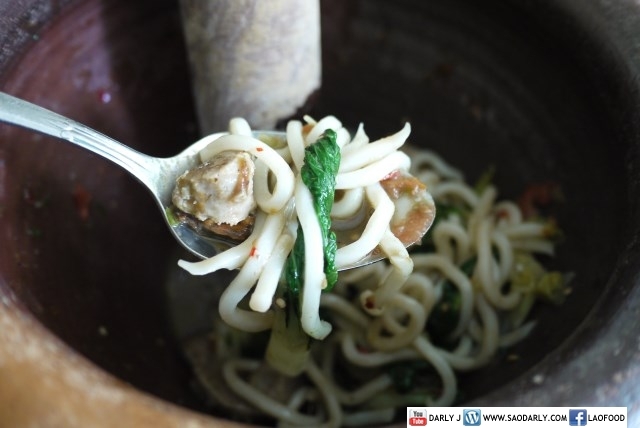 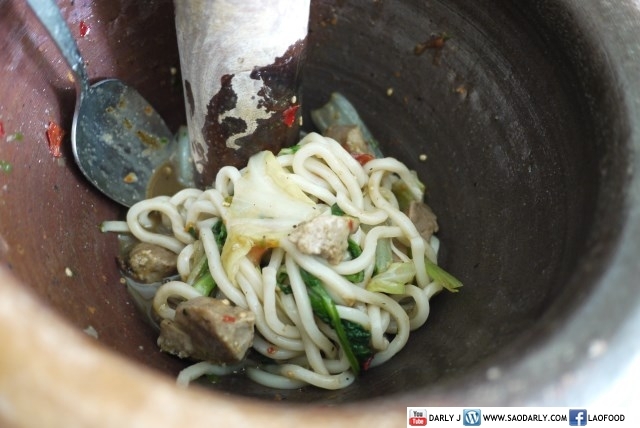 Spicy Udon Noodle Salad is the next best thing to Spicy Khao Piak Salad or Tum Khao Piak.